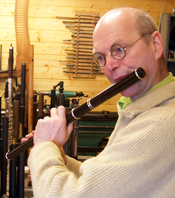 It is most probably a fact that most flute makers do not get to know much about what the flutes they have made get up to once they have left their workshops, but there can be moments of exception. […] If you remember, back in 2000, I became the proud owner of one of your [Celtic style] African Blackwood flutes. I wanted to let you know that that lovely flute was heard last Monday night echoing throughout Carnegie Hall! I participated in a work by composer Karl Jenkins called “The Peacemakers“. It’s a wonderful piece which uses quotes by Martin Luther King, Gandhi, Mother Theresa and many others, which the composer weaves beautiful orchestrations and choral arrangements around. That night, I was the ethnic flute guy, playing Indian bansuri and Irish flute. It was a most special experience that I wanted to share with you. Very kind of Premik as we humans tend to thrive in an environment of encouragement no matter what our station in life. Here is a clip of Karl Jenkins talking about recording The Peacemakers. 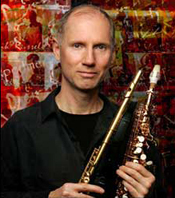 This entry was posted in Flute Players, Martin Doyle Flutes, Music, Musicians, Video Clips and tagged Carnegie Hall, composer, Concert, Karl Jenkins, music, Premik Russell Tubbs, The Peacemakers on 4th April 2015 by Admin.